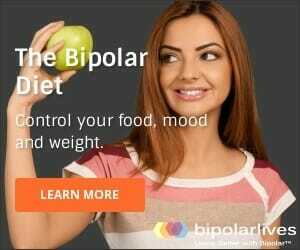 Interested in the discovery of bipolar disorder? You probably should be! Anyone who is a person living with bipolar, or has a loved one who is, will form a much more thorough understanding of their condition – and potentially effective treatment – if they understand bipolar disorder and history. 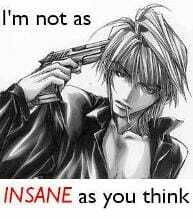 For example, is “bipolar disorder” or “manic depressive illness” to be preferred as a term? Which is the most truly informative and descriptive? 6. Some combination of the above? The answer is best understood through learning about the discovery of bipolar disorder and studying bipolar history, for example through medical journals. Is the recent re-conceptualization of bipolar as a spectrum disorder helpful? Accurate? Or were we better off in “the old days”, when manic-depression was understood through Kraepelin’s unitary view of mood disorders? Anyone asking “Am I bipolar?” or “What is wrong with me and what can I do about it?” will understand these question better if they explore the discovery of bipolar disorder. Bipolar disorder and history is becoming an important field of study. 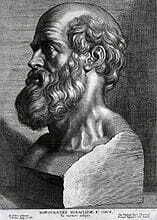 150 AD – Aretaeus of Cappadocia describes how some patients alternate fits of mania and melancholy, and suggests the mania is actually a variation of melancholia. 1583 – Chinese writer Gao Lian describes bipolar disorder in Eight Treatises on the Nurturing of Life, and argues the importance of avoiding stress. 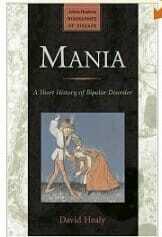 1686 – Swiss doctor describes an illness named “manico-melancolicus” that links mania and melancholia. 1854 – Two French doctors present papers to the Academy of Medicine, one describing “dual-form insanity”, and the other “circular insanity”. 1899 – Emil Kraepelin introduces the term “manic-depressive” into psychiatric textbooks and modern understandings such as the role of family history, environmental stress, and the episodic nature of the illness take shape. 1949 – Australian doctor John Cade discovers the efficacy of lithium as a treatment. Early 1950’s – German psychiatrist Karl Leonhard coins the term “bipolar” and distinguishes unipolar depression from bipolar depression. 1952 – Manic depressive reaction makes its first appearance in the DSM, and is considered primarily as a reaction to psychosocial factors. 1968 – The DSM changes to the term manic-depressive illness and biological perspectives come to dominate. 1980 – The DSM adopts the term bipolar disorder, and a distinction is made between adult and pediatric bipolar disorder. 1987 – The DSM introduces sub-types and sub-classifications. 1994 – The DSM includes Bipolar II as a diagnosis in its own right, and criteria and definitions for rapid cycling and mixed states appear. The contemporary diagnostic criteria and sub-types are defined. disorder to be removed as a form of bipolar, and a new disorder category created: Temper Dysregulation Disorder with Dysphoria (TDD). There are several excellent resources available to those seeking to discover further information. Not only are there a variety of histories available, they also offer different perspectives, according to the interests of the reader. A great print resource is the authoritative textbook in the field: “Manic-Depressive Illness: Bipolar Disorders and Recurrent Depression” (2nd ed, 2007), by Dr Fred Goodwin and Dr Kay Redfield Jamison. This contains a detailed section on the historical roots on pages 3 to 8, and is probably the most informative source available. It is also unique in combining rigorous science with the personal perspectives of the authors, one of whom has manic-depressive illness herself. 2. Bipolar Disorder and History – a more nuanced account from Wikipedia, highlighting how our study of bipolar disorder has rotated through psychological, psychosocial, and biological perspectives. Rewriting the discovery of bipolar disorder? What sort of illness has not only a history, but a “biography” as well? from the Johns Hopkins Biographies of Disease series. Healy’s Mania argues that our conception of “manic-depression”, aka “bipolar disorder” has undergone radical shifts and redefinitions, rather than a natural evolution attributable to medical and scientific advances. If you want an alternate history that critiques the core constructs of mental illness and the rise of psychotropic treatments and pharmacological marketing, then this may be the bipolar history you are looking for.